Episode 38 - After walking the course, talking core skill-sets and uncovering Open trends in Episode 37, Steve, Paul and Barry talk through their selections this week for the 147th Open Championship. Naturally it's one of the best fields of 2018, so who do they fancy out of the big names and who do they think will play well at Carnoustie. The team also dream up some triple-digit 'bombs' - the likes of which always often contend at the Open Championship. Steve also highlights a Golf Betting System exclusive with 888Sport where new customers can treble the odds on any player/any single bet (win only - excludes each-way bets) at the 2018 Open Championship with their first bet. Read our Open Championship Betting Preview or Prep Sheet below for full details. 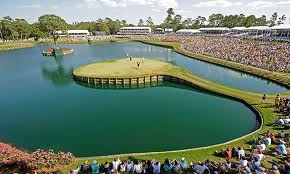 Intro: 00:00; Likely Weather + Course Conditions: 03:07; Likely Winning Score: 15:42; Player Reviews of the Tournament Favourites + Selections: 17:46.